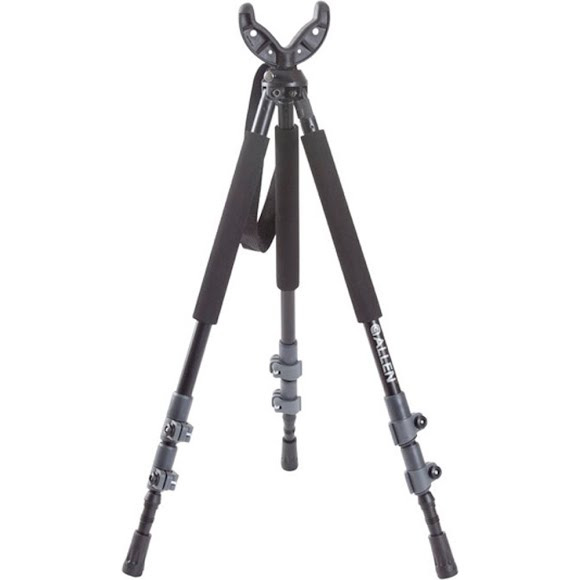 The Allen Co 61" Backcountry Tripod/Bipod/Monopod has a patented design that can be set up with your desired configuration by removing a leg that functions as a monopod itself. Great for use in ground blinds. Removable V top and removable wrist strap.